This article is about the French utopian socialist. For the mathematician and physicist, see Joseph Fourier. François Marie Charles Fourier (April 7, 1772 – October 10, 1837) was a French utopian socialist and philosopher who advocated a reconstruction of society based on idea that the natural passions of man would, if properly channeled, result in social harmony. He believed that he had discovered the laws of social interaction, comparable to Newton’s laws of physical interaction. Fourier identified twelve fundamental human passions: five of the senses (touch, taste, hearing, sight and smell); four of the soul (friendship, love, ambition and parenthood); and three that he called “distributive,” which ensured the balance of all the others. Fourier envisioned a society organized in units called “phalanxes” composed of male and female representatives of 810 personality types, in which natural interaction would automatically result in peace and harmony. In these communities the status of manual labor would be elevated by making work enjoyable and satisfying. Fourier also advocated the emancipation of women and coined the word féminisme in 1837. Fourier developed a following in France, and a short-lived model colony was established there in 1836. Approximately forty phalanxes were established in the United States between 1843 and 1858. Fourier’s perceptive criticism of existing society and his vision for the future made him an inspired prophet of nineteenth-century socialism. He can be considered an early exponent of the concept of alienation and a theorist of affluence, and his ideas have influenced such diverse fields as modern educational theory, personnel management and feminism. 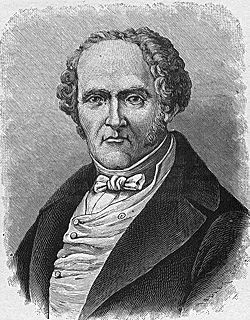 Fourier was born at Besançon on April 7, 1772, the son of Charles Fourrier, a wealthy cloth merchant, and Marie Muguet. He received a solid classical education at the Jesuit College de Besancon (1781-1787), but was mostly self-taught. He moved from his native Besançon to Lyon, the second largest city in France. As the sole surviving son in his family, he was expected to succeed his father as head of the family business, and he began his apprenticeship in the cloth trade at the age of six. He found himself unsuited for commerce and deplored its chicanery as immoral. Nevertheless, upon the death of his father in 1781, according to the terms of his will, Fourier was compelled to enter a commercial career by age twenty or forfeit a substantial patrimony of 42,932 livres. Fourier lived through the events of the French Revolution, the Napoleonic Empire, the Bourbon Restoration, and the revolution of 1830, but though they affected his personal fortunes, they did not seem to influence his ideas or his writing. During the early years of the revolution, Fourier lived at Lyons, where he fought on the counter-revolutionary side and lost his inheritance in a series of business failures. He barely escaped being executed by Jacobin forces when they purged that royalist stronghold in 1793.In 1794 he was drafted for service in the Army of the Rhine, but was discharged two years later because of illness. 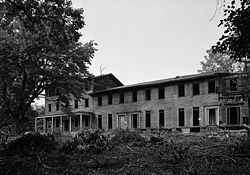 He spent the remainder of his life in Lyons and Paris, earning his living by doing odd jobs, living in cheap rooming houses, preaching "universal harmony," and searching for a wealthy patron to finance a prototype of his utopian community. His work as a traveling salesman and correspondence clerk gave him little time for research and thought; he complained of "serving the knavery of merchants" and having to perform "deceitful and degrading duties." Eventually he came into a modest legacy and was able to set himself up as a writer. By 1799, Fourier had developed the fundamental insight which was the basis for all of his later work, "the calculus of the mechanism of the passions." The calculus was an interactive system of three "distributive passions" that ensured the gratification and equilibration of all other human passions, and facilitated the formation of the "passionate series," the theoretical foundation of the phalanx, Fourier's utopian association. Fourier first set forth his ideas in an article entitled "Universal Harmony," published in the Bulletin de Lyon (1803). For the next 34 years he promulgated them in a mountain of books, pamphlets, and unpublished manuscripts; including Theory of the Four Movements and General Destinies (1808), Treatise on Domestic and Agricultural Association (2 vols., 1822), and False Industry, Divided, Disgusting, and Lying, and Its Antidote (2 vols., 1835-1836). Although Fourier wrote in a bizarre and often incomprehensible style, and incorporated many eccentric ideas, he gradually gained a small coterie of disciples. It was not until the 1820s that Fourier had any substantial following. In the 1830s, a schism among the followers of utopian socialist Henri Saint-Simon increased Fourier’s following and led to the establishment of the Fourierist movement in France. A journal, the Phalanstere (1832-1834), was begun, and a model Fourierist community (a phalanx), the Societary Colony, was established in Conde-sur-Vesgre (1833-1836). Fourier also developed a following in Romania. Through the popularization of his ideas by the social reformer Albert Brisbane (1809-1890), approximately 40 phalanxes were established in the United States between 1843 and 1858. Fourier spent the last years of his life in Paris, where he died on October 10, 1837. Fourier developed a type of utopian socialism based on the idea that the natural passions of human beings, if properly channeled, would result in social harmony. His system came to be known as Fourierism and attracted a number of converts in France and later in the United States. During his lifetime, Fourier’s ideas were often ignored and occasionally remarked on with scorn and incredulity. He was disparaged for his lack of formal education and fortune. He resented the attitude of the Paris intellectuals, who ignored his genius and regarded him as a “near illiterate” and a “scientific pariah.” His contemporaries found his work obscure, unintelligible and fantastic. Fourier predicted that human beings would evolve until they attained a height of seven feet, developed an archibras (a powerful tail tipped with a hand-like claw) and lived for 144 years. He foresaw his ideal world enduring for 80,000 years, of which eight thousand would be an era of “Perfect Harmony” in which androgynous plants would copulate, six moons would orbit the earth; the North Pole would be milder than the Mediterranean; the seas would lose their salt and become oceans of lemonade; the world would contain approximately 37 million poets equal to Homer, 37 million mathematicians equal to Newton and 37 million dramatists equal to Molière; and every woman would have four husbands simultaneously. His proposals for the emancipation of women and the introduction of sexual freedom into collective life were considered scandalous by many. By the early nineteenth century, Europe had undergone two major revolutions, the French Revolution which brought about radical political re-organization, and the Industrial Revolution which re-shaped the economy and culture of Europe. Change was accepted as a natural and irreversible process, and intellectuals began to look at socialism as a way of making these changes meaningful and beneficial for all of mankind. At the same time, the cultural phenomenon of Romanticism idealized attempts to break away from established norms and standards and to liberate the passions of the individual. It was in this historical and cultural context that the utopian socialists made their appearance. The three major utopian socialists—Fourier, Robert Owen and Henri de Saint-Simon—differed in a number of ways, but all believed that their ideal societies could be established in the immediate future, and promoted their ideas with an almost religious zeal. Fourier believed that he had discovered the scientific laws which govern social interaction, just as Newton had discovered laws of physical motion. In Théorie des quatre mouvements (1808) and later works he developed his idea that the natural passions of man would, if properly channeled, result in social harmony. He compared gravitational attraction in the physical world to “passional attraction” among humans. Fourier’s calculus of the mechanism of the passions was an interactive system of three distributive passions, the cabalist (or intriguing) passion, the butterfly (or alternating) passion, and the composite (or enthusiastic) passion. Together, these ensured the gratification and equilibration of all other human passions and resulted in the formation of the “passionate series,” the foundation for Fourier’s ideal unit of society, the phalanx. Fourier believed that human nature had been created by God and should therefore be acknowledged in the organization of society. He proposed a non-repressive society in which basic human drives would be expressed and cultivated. His vision was a perfectly calibrated, harmonious world in which “natural or attractive association” would draw people together, and the free pursuit of individual gratification would automatically serve the purposes of the whole. The conflict between work and desire would be resolved by natural associations within “progressive series,” groups of people with common interests and personal characteristics. These groups would embody freedom and order simultaneously, through a perfect balance of ages, sexes, wealth, temperament, tastes, talents and education. Fourier declared that concern and cooperation were the secrets of social success, and believed that a society that cooperated would see an immense improvement in its levels of productivity. Workers were to be compensated for their labors according to their contribution. Fourier saw such cooperation occurring in communities he called "phalanxes." Fourier described in detail the ordering of these communities, the routines of the members' lives, the architecture, and even the musical notation. Fourier also described the way in which the creation of such a harmony on earth would create a cosmic harmony. 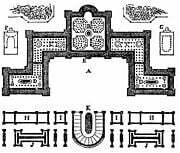 Phalanxes were based around structures called "grand hotels," (or Phalanstère). These buildings were apartment complexes with four levels, where the richest had the uppermost apartments and the poorest enjoyed a ground floor residence. Wealth was determined by one's job; jobs were assigned based on the interests and desires of the individual. Those who did undesirable jobs would receive higher pay. Fourier ignored industrialism because he believed that industrial society was a passing phase; his ideal was a systematically organized agricultural society. Fourier wanted to elevate the status of manual labor, which he regarded as arduous, irksome and dehumanizing. He believed, however, that it was possible to make all work into play, to make it pleasurable and desirable and deeply satisfying, both physically and mentally, by creating a “phalanx” in which all the members could freely express their passions. Fourier identified twelve fundamental passions: five of the senses (touch, taste, hearing, sight and smell); four of the soul (friendship, love, ambition and parenthood); and three that he called “distributive.” The first distributive passion was la Papillone (“butterfly”), the love of variety. A worker quickly tired of one kind of task, and naturally desired variety in his work. Fourier criticized Adam Smith’s vision of a society of specialists, doing the same thing over and over, as a system that stunted and repressed human nature. He believed that society should strive to eliminate all tedious or unpleasant jobs, learning, if possible, to do without the products derived from such labor. The second distributive passion, la Cabaliste (“intriguing”), had to do with rivalry and conspiracy, which would be put to good use as productive teams competed with each other to produce the best products. The harmful aspects of competitive commerce in civilization would not arise because production would be done with the overall good of society, rather than individual profit, in mind. The third passion, la Composite (“enthusiastic”), which Fourier considered the most beautiful of all, had to do with community and the satisfaction of social needs. Fourier coined the word féminisme in 1837 and was a strong advocate for the rights of women. As early as 1808, Fourier stated that the level of development of any civilization could be determined by the extent to which its women were liberated. He regarded the position of women in European society as a form of slavery, and argued that social progress could only take place in the context of an equitable treatment of the female population. However, he did not advocate equality of the sexes because there were real differences between them. He rejected patriarchy, believing that the existing family structure was partially responsible for the oppression of women, and developed an innovative model for family life in his phalanxes. The influence of Fourier's ideas in French politics was carried forward into the 1848 Revolution and the Paris Commune by followers such as Victor Prosper Considérant, his principal disciple. After Fourier's death, Considérant tried to found a colony in Texas. Albert Brisbane and Horace Greeley were the key figures in the sudden and wide development of colonies, such as Utopia, Ohio, in the United States. Brook Farm was for a time Fourierist. The most successful of the communities was the North American Phalanx at Red Bank, New Jersey. Fourier inspired the founding of the communist community called La Reunion near present-day Dallas, Texas. Fourier’s perceptive criticism of existing society and his vision for the future made him an inspired prophet of nineteenth-century socialism. He can be considered an early exponent of the concept of alienation, later developed by Karl Marx; and his theories of affluence foreshadowed the work of American economist John Kenneth Galbraith. His understanding of oppression, his concern with the development of character in the context of human society, and his quest for ways to make labor satisfying and productive have influenced such diverse fields as modern educational theory, personnel management and the emancipation of women. In the middle of the twentieth century, Fourier's influence began to rise again among writers reappraising socialist ideas outside the Marxist mainstream. After the Surrealists had broken with the French Communist Party, André Breton returned to Fourier, writing Ode à Charles Fourier in 1947. In 1969, the Situationists quoted and adapted Fourier's Avis aux civilisés relativement à la prochaine métamorphose sociale in their text Avis aux civilisés relativement à l'autogestion généralisée. Fourier's work has significantly influenced the writings of Gustav Wyneken, Guy Davenport, Hakim Bey, and Paul Goodman. Fourier, Charles. Théorie des quatre mouvements et des destinees generales (Theory of the four movements and the general destinies). Anonymous published, Lyon, 1808. Fourier, Charles. Oeuvres complètes de Charles Fourier, 12 vols. Paris: Anthropos, 1966-1968. Jones, Gareth Stedman, and Ian Patterson (eds.). Fourier: The Theory of the Four Movements. Cambridge Texts in the History of Political Thought. Cambridge: Cambridge University Press, 1996. Barthes, Roland. (1971). Sade Fourier Loyola. Paris: Seuil. Beecher, Jonathan (1986). Charles Fourier: The Visionary and His World. Berkeley, C.A. : University of California Press. ISBN 0520056000. Buber, Martin (1996). Paths in Utopia. Syracuse, N.Y.: Syracuse University Press. ISBN 0815604211. Burleigh, Michael (2005). Earthly Powers: The Clash of Religion and Politics in Europe from the French Revolution to the Great War. New York: HarperCollins Publishers. ISBN 0060580933. Davis, Philip G. (1998). Goddess Unmasked: The Rise of Neopagan Feminist Spirituality. Dallas, T.X. : Spence Pub.. ISBN 0965320898. Engels, Frederick. (1975). Anti-Dühring 25: 1-309. Karl Marx and Frederick Engels. Karl Marx, Frederick Engels: Collected Works [MECW], 46 vols. to date. Moscow: Progress. Guarneri, Carl J. (1991). The Utopian Alternative: Fourierism in Nineteenth-Century America. Ithaca, N.Y.: Cornell University Press. ISBN 0801424674. Heider, Ulrike (1994). Anarchism: Left, Right, and Green. San Francisco: City Lights Books. ISBN 0872862895. Kolakowski, Leszek (1978). Main Currents of Marxism: The Founders. Oxford: Oxford University Press. ISBN 0198245475. This page was last modified on 2 February 2017, at 20:53.